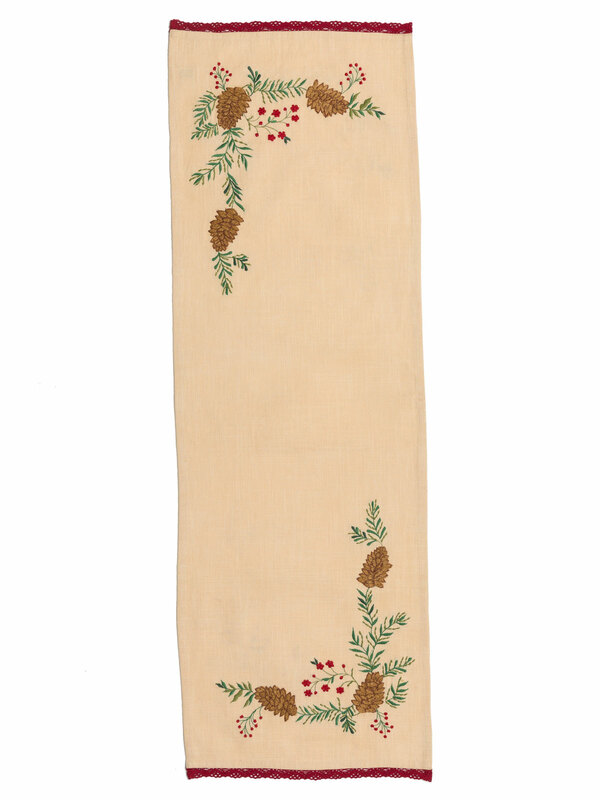 An heirloom caliber table scarf to brighten your home and celebrate the sights of the season in timeless and elegant fashion. 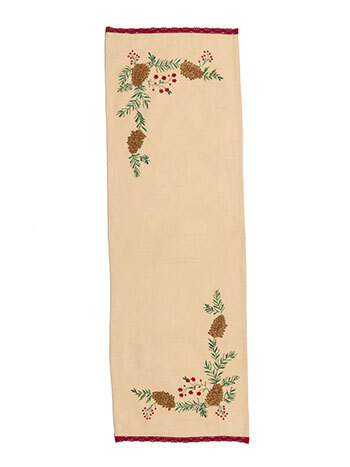 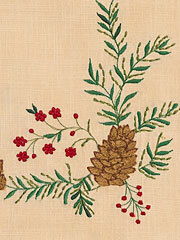 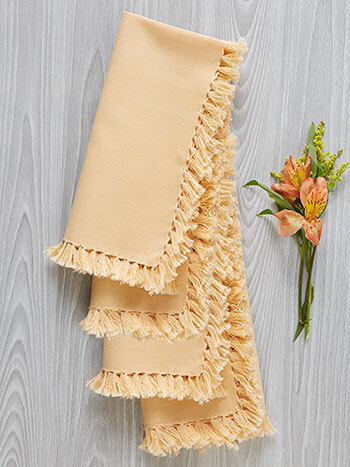 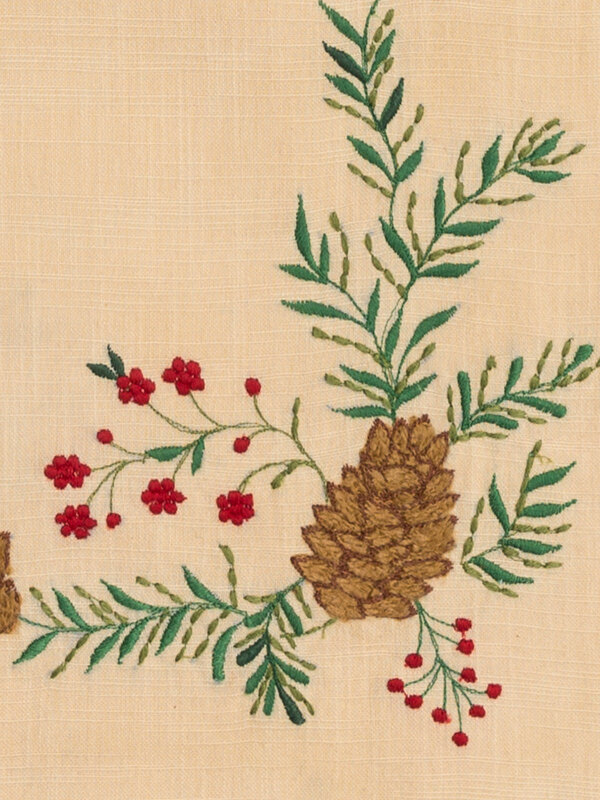 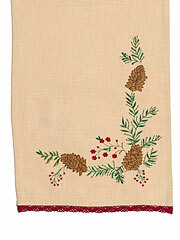 The Pinecone embroidered table scarf in antique invites nature into your home through masterful craftsmanship and soothing tones in the way only April Cornell can. I love the size and design, I was expecting it to be a whiter fabric, but I am very happy with it. 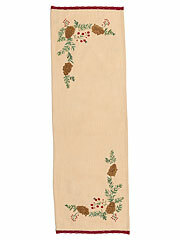 It goes nicely with my other holiday decorations.